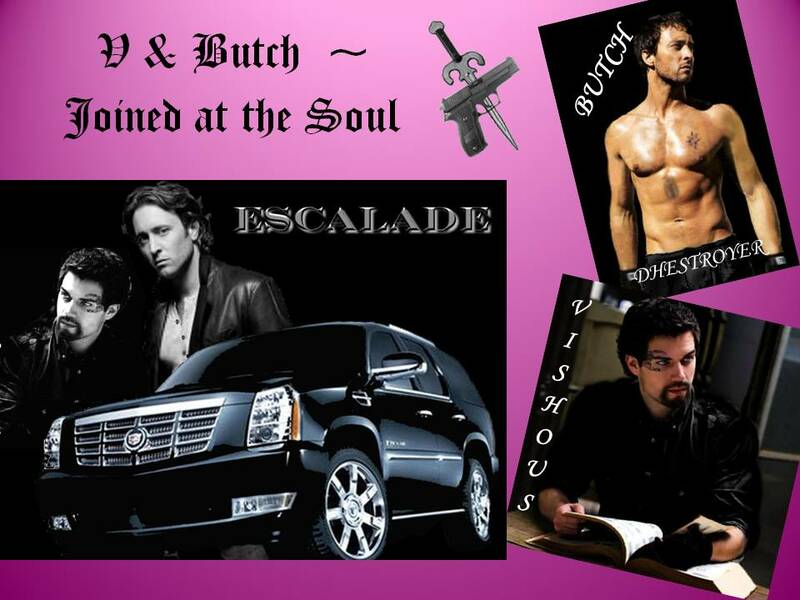 V & Butch w Escalade. . HD Wallpaper and background images in the Black Dagger Brotherhood club tagged: black dagger brotherhood vampire. This Black Dagger Brotherhood photo might contain zeichen, plakat, text, tafel, schilder, poster, anime, comic, manga, cartoon, comic buch, karikatur, and comics.